The theme of this blog has been Antarctica for so long…so, what’s next? Well..what’s next will probably be a few more posts about our trip to Antarctica! I can’t help it, it was the trip of a lifetime and I’m not yet done oversharing. If you’re catching up, you can read about the actual Antarctica marathon HERE, then the non-Antarctica parts of the trip HERE, and then the first of a few posts of pictures from Antarctica HERE. If you love penguins and pictures of wildlife, definitely check out the third post, I’m pretty excited about our pictures! The marathons I have run with her have been some of my favorite marathon experiences. Helping someone else achieve their goals is such a great feeling (part of the reason why I coach other runners!) I have so many warm memories from both of those marathons, so when Erin suggested Brookings, I figured why not? We haven’t run a marathon in South Dakota yet on our 50-state marathon goal, and Brookings is only about a 4 hour drive from Minneapolis. So for the next few weeks, I’ll be building up mileage a bit and getting ready to check South Dakota off of this map! Here’s how training went this week! 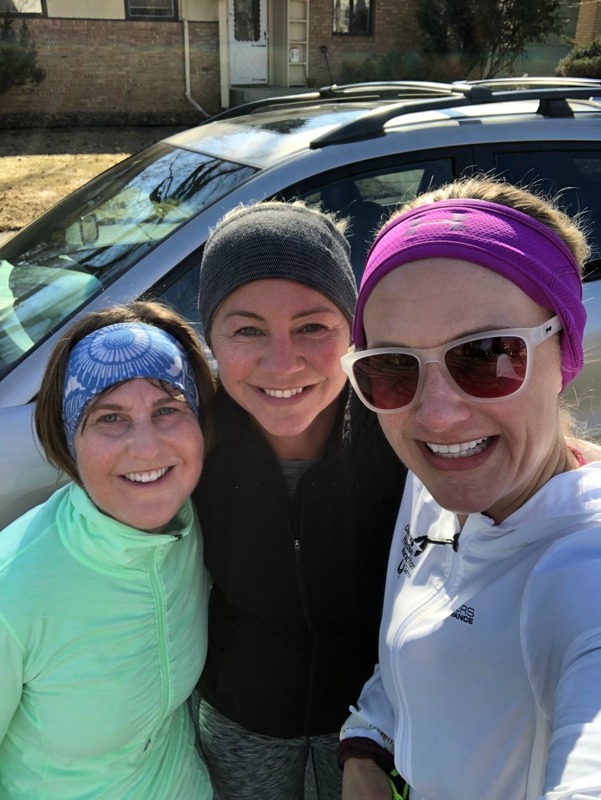 Monday: 7.2 miles before work with Christie and Klara. Temperatures this week in the early morning were usually around 30-40 degrees (with highs later in the day around 50.) Great running weather! 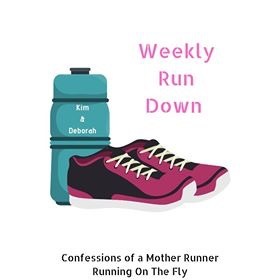 I took a Discover Strength group class after work; this class is short but efficient and I’ve found it to be a great way to still lift weights in between the running. It’s located right downtown in the skyway, so I can get there quickly from work and fit it in better than other workouts. It’s been working out well, though I do miss solidcore and ALTR and hope to fit those in again soon too! Tuesday: I ran AFTER work with Matilda; 7 miles at an 8:45 min/mile pace. I did a small progressive within the run. It was 50 degrees after work and I ran in the sunshine! It was fantastic. Dustin was traveling all week for work, so I had to leave my office at a reasonable time to get home to let her out, so I was actually able to run after work. A nice change! Wednesday: Easy 5.2 mile run in the morning; felt a little tired from the short turnover from the night before, but loosened up as I went. 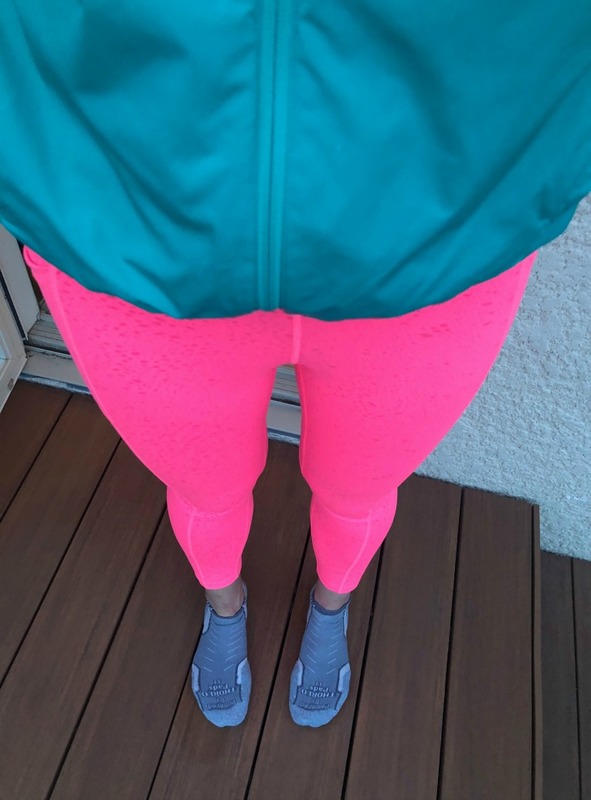 I wore my bright pink Oiselle firecracker tights, love them! Friday: Discover Strength (45 minute weight-lifting class) before work, easy 3 miles with Matilda after work. It was technically my rest day, but it was 50 degrees and Tilda needed exercise, so I decided to just do a short one with her. 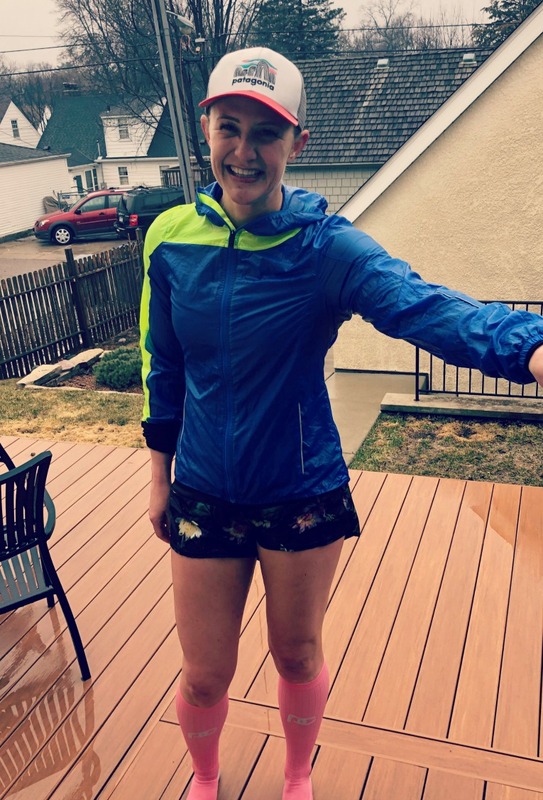 Saturday: 14 mile long run in the rain! For most of the run, it was only drizzling, but then it poured pretty hard towards the end. I was drenched! 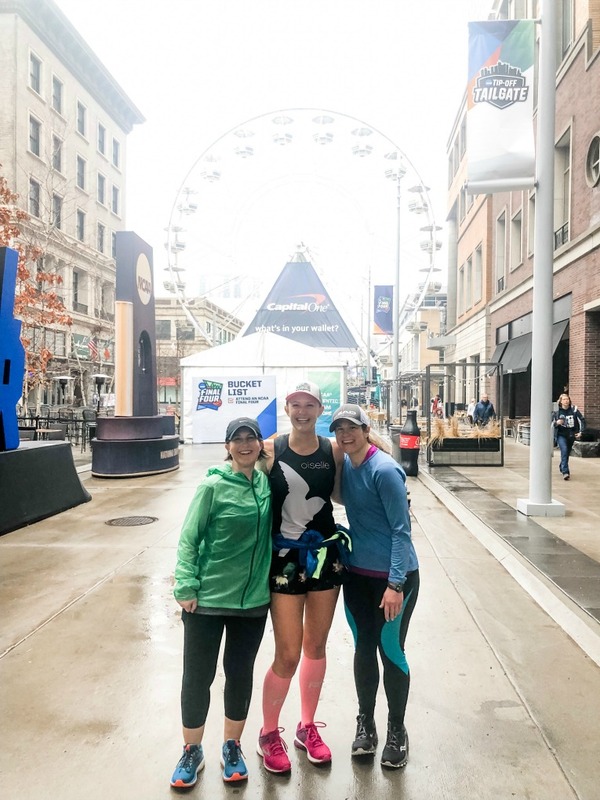 Our running club did a route through downtown to check out the Final Four stuff that was going on (Minneapolis is hosting the tournament), like a ferris wheel on Nicollet Avenue! I’m not really into college basketball, but it was fun to see all the events going on and the excitement in the air! Sunday: A 4-mile run with Dustin and Matilda. It was a perfect 50 degree morning. Great run. Later in the day, I had a friend of a friend come over to do some organization of our bookshelves/books in general. I have been doing a lot of organizing and purging, but was a little overwhelmed and happy to hand something over to an expert who does this for a living. She did such a great job, I’ll try to post some before-and-after pictures, but her website is here if you’re in the Twin Cities and looking for a professional organizer! The warmer weather and clear paths are such a welcome change; I’m so happy to be running outside again consistently with no worries, and meeting up with running friends again as much as possible. So glad winter is over! 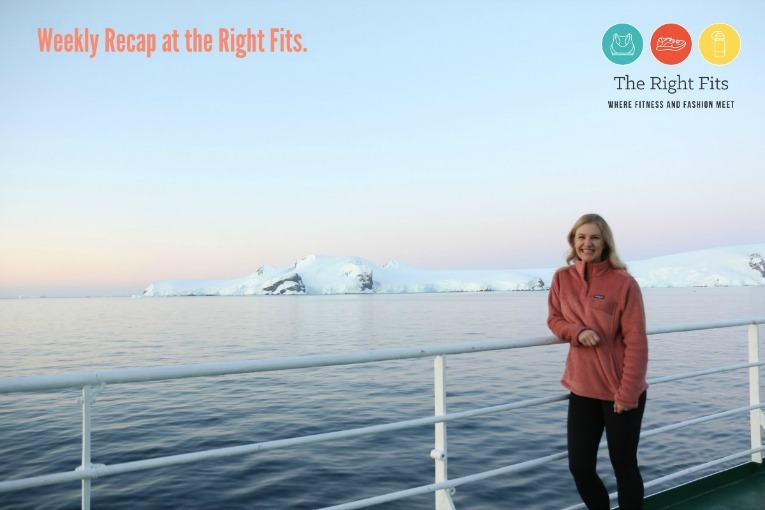 « Fits on the Road: Antarctica! Your sister is so lucky to have you to pace her! 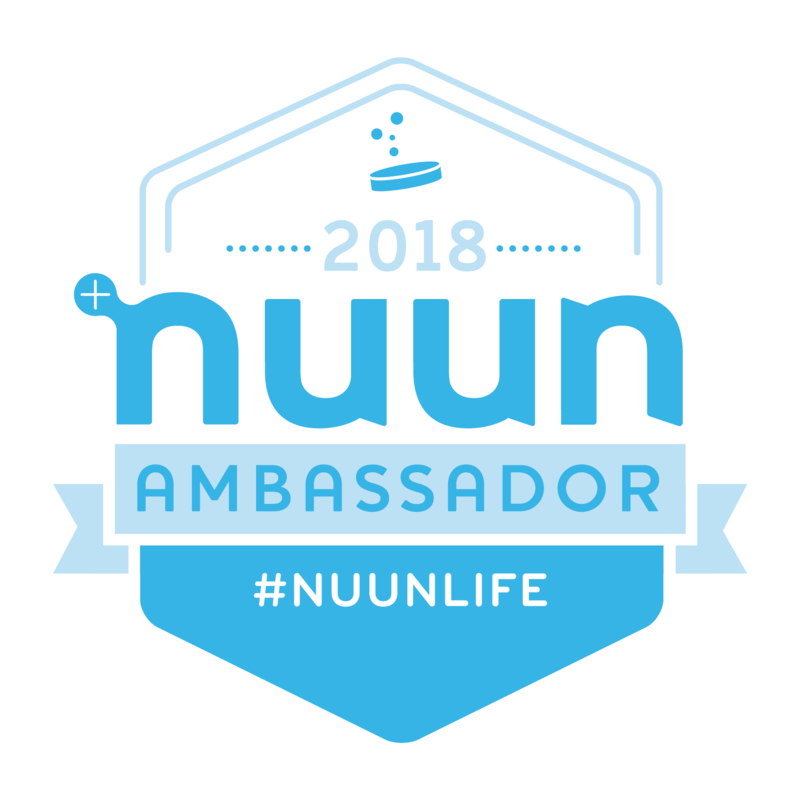 When I was running marathons, I always felt a bit of a letdown when I was done with the race–like what’s next? It’s exciting to be on a training plan with a goal race in sight. Anxious to hear what you’re going to pick next! Heading over to check out your Antarctica posts! Exactly, that post marathon let down is real, so its fun to have something coming up soon! I think Antarctica deserves a few more posts — I certainly enjoy reading all about it. 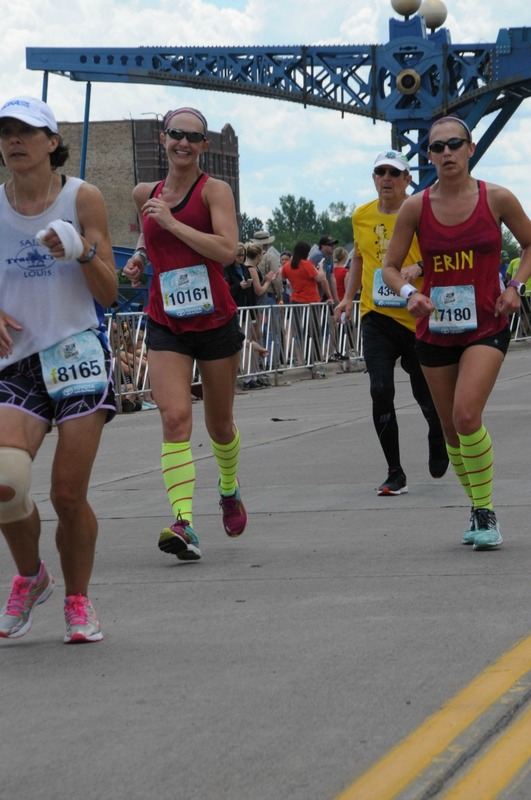 How cool to pace your sister for marathons. That’s awesome. I think we all are enjoying spring weather — whatever it means where we are. Thank you Coco, I’m glad you enjoy the Antarctica posts! That’s so awesome that you are pacing your sister! I feel like races like that are even more special because you get to share such a unique experience. The warmer weather has been amazing. I felt so light and airy on my run today because I had shorts and a tee on. It felt amazing! How wonderful! The warm weather has been SO nice. Pacing races is such a blast, and what a treat to do it with your sister. Solid mileage week for just a few weeks post-marathon. Isn’t running in shorts again the best?! I have paced a friend once and then my sister- I should look into pacing formally! I didn’t realize that we were at the same race either Kim! Very small world 🙂 Other than the knee, did you enjoy Grandma’s? I love that you are going to pace your sister for her marathon in a few weeks. Also it’s cool that you’ll get to check another state off your awesome map! How lovely that you get to pace your sister – special fun. So much running this week – I’m in awe of your strength. I’ve been trying to get my sister into running so we can do a race together! So far I’ve had no success but I’ll keep at it! Good to see you didn’t fall into a running slump like I usually do after a goal race and you are back at it again! What a great week and how cool you were THAT close to all the March madness 🙂 We are having our share of April showers here as well but if there’s sunshine at the end of it, I’ll take it! Love that beautiful map and how you’re tracking all your amazing races. So cool! 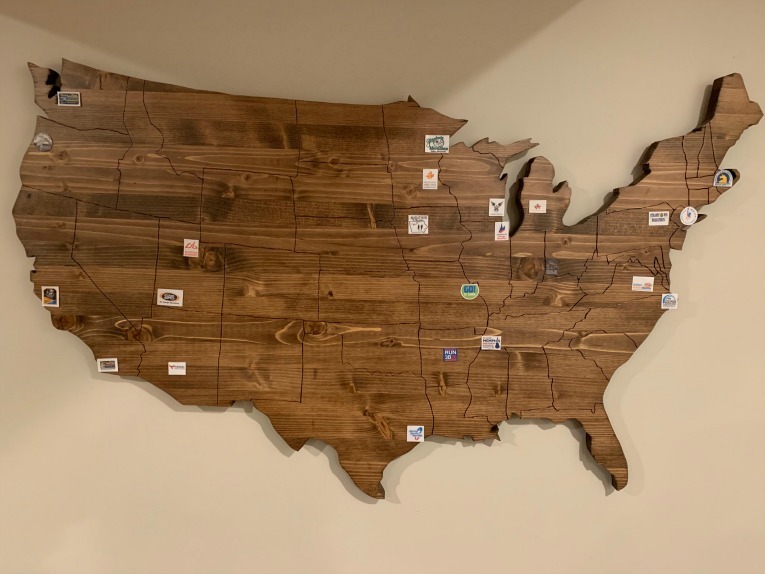 Thanks so much Allie, it’s been fun to have the map to check off states! Wow- 57 in the morning is amazing! I can imagine you are glad to have the weather improve a bit! nice running this week!! and super cool you are going to pace your sister! I wish I had a pacer sometimes but I’d probably want to kill them after a few hours – haha!! my husband paced a good friend of ours in Warsaw and he told me that our friend was getting really cranky… up until the finish when he realised he would get his PR ! haha!